We caught up with the top privateer in the 250 West coast series to learn more about him and his program. Supercross Privateer and 1985 CR500 legend, Jerry Robin is having his best season yet in the 250 West series. 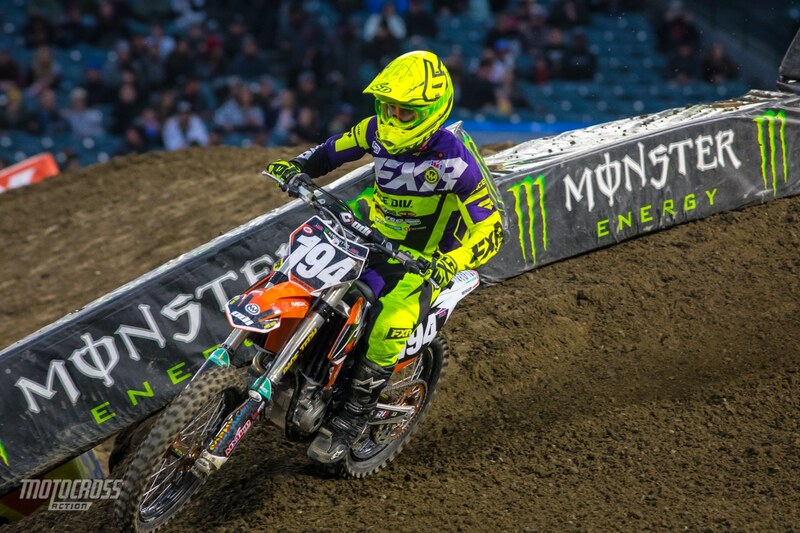 Finishing ahead of multiple factory riders with his twelfth place in Oakland proves that Jerry has potential. The 21-year old from Hamel, Minnesota, is already known for his vintage bike skills and now he’s making a name for himself as a fast privateer who’s striving to get a shot on a factory team. Throughout the Supercross season Jerry has been staying in California and he’ll be SoCal until after the Outdoors start in May. We caught up with him to learn more about his season, his privateer bike and his training program. YOU’VE HAD A GREAT SEASON SO FAR, HOW DO YOU FEEL ABOUT IT? 2019 has been my best season yet, even though I’ve sometimes held back just to put in a solid finish and finish the main strong. I love my bike, the KTM was a great change, I rode Hondas before. 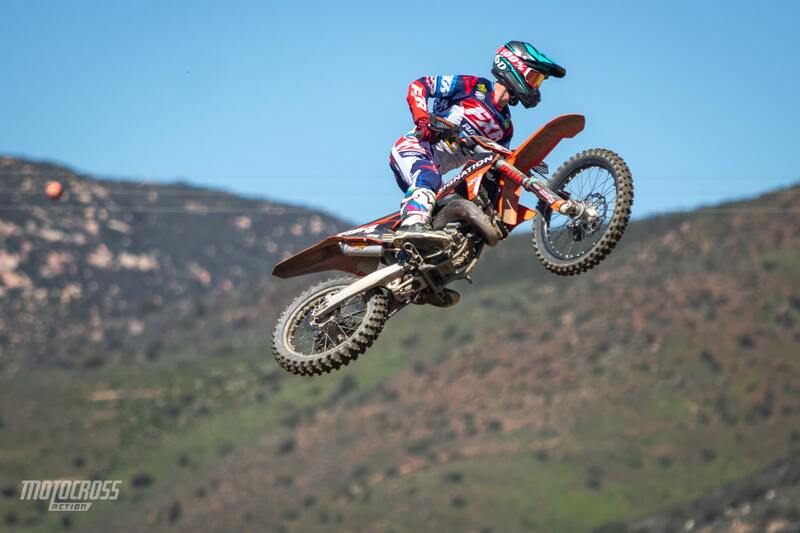 With the switch to KTM, every weekend I feel like I’ve gotten progressively better in qualifying and on the bike. In Oakland I ended up getting twelfth in the 250 main event, so I’m getting near the top ten against the factory guys. It’s tough, but even getting twelfth I beat two factory guys. It’s tough no matter which way you go, but hopefully I can get into the top ten here soon. 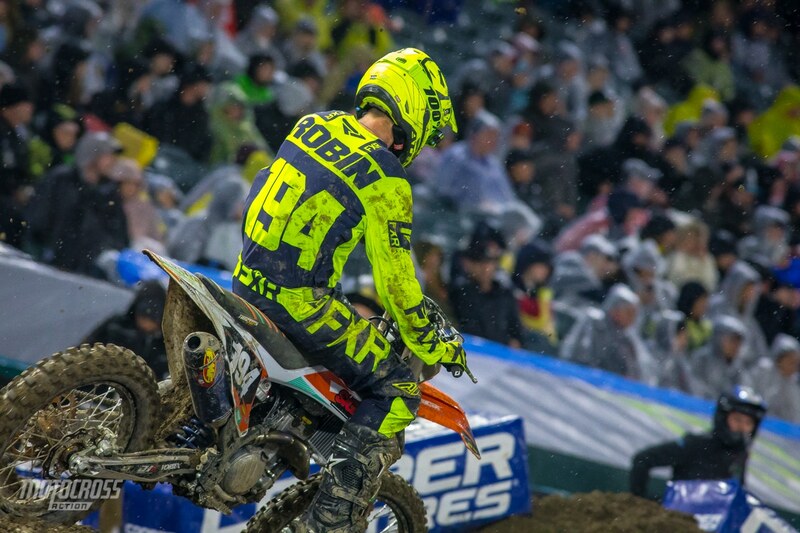 Jerry Robin currently sits fifteenth in the 250 West Point standings and he’s the first full privateer that’s racing without the help of a team. WHAT HAS MADE 2019 DIFFERENT THAN YEARS PRIOR? I think the turning point that has made this season better is being in California. I’ve been out here since the first of December. Being here with the factory guys, you kind of get to ride with them during the week and gauge where you’re at. Plus, all of the companies I work with are in California, so if I need something changed it’s easy to drive down there and change it. It’s just really convenient, you can really dial in your bike and you get a good gauge on where you’re at and what you can do. It just helps mentally and physically. Jerry’s 2019 season started strong with a fourteenth at Anaheim 1. WHY DID YOU CHANGE FROM HONDA TO KTM? The main thing was cost, you pay a little extra for KTM up front, but you don’t have to buy a $4000 motor. I ended up riding one of my buddies KTMs, and I loved the steel frame. Everything about the bike felt planted and it was just an effortless feel, that’s what really made me change. IF YOU DIDN’T SPEND $4000 ON YOUR ENGINE, WHAT KIND MODS DO YOU HAVE ON YOUR BIKES? Race Tech did my engine work, they did my head, a valve job and the ignition mapping. I also run the stock OEM WP AER forks and stock OEM shock. Race Tech has built my suspension too. I don’t even have the Cone Valve suspension like everyone else. Jerry has been riding his 125 two-stroke out at the local tracks lately while the 250 West Supercross division has had a few weeks off. 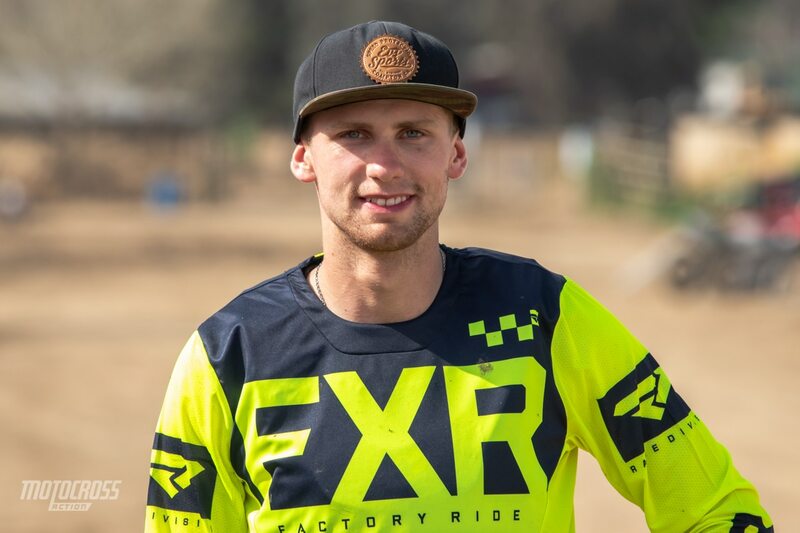 Privateer or not, Jerry plans to race the first three rounds of the AMA National Motocross series. But ultimately he hopes to find a spot on a team so he can compete in all 12 rounds. 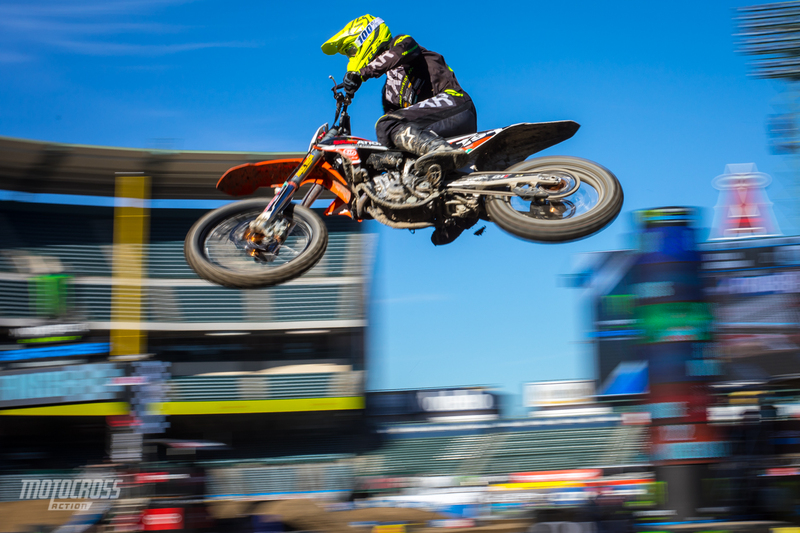 WHAT IS THE COOLEST PART ABOUT BEING A SUPERCROSS RACER? The coolest part about being a Supercross racer is watching opening ceremonies. Being a 250 rider you get to stand backstage and watch opening ceremonies. Everybody is getting into your racing zone and watching what everybody does in opening ceremonies. That’s probablye the coolest part, getting into the zone and getting ready to go racing. WHO HAVE YOU BEEN WORKING WITH FOR YOUR TRAINING? I’m working with Chris Hay, he used to work with Tommy Searle back in the day. I like what I’m doing with Chris and I think we have a good program going into the final rounds of the Supercross season and into outdoors. I feel really strong and fit. Jerry playing in the San Diego mud. WITH FOUR ROUNDS OF THE 250 WEST LEFT BEFORE OUTDOORS, WHAT KIND OF TRAINING DOES CHRIS HAVE YOU DOING? I don’t do much with weights in the gym. Going into outdoors we’re more focused on longer endurance cardio. 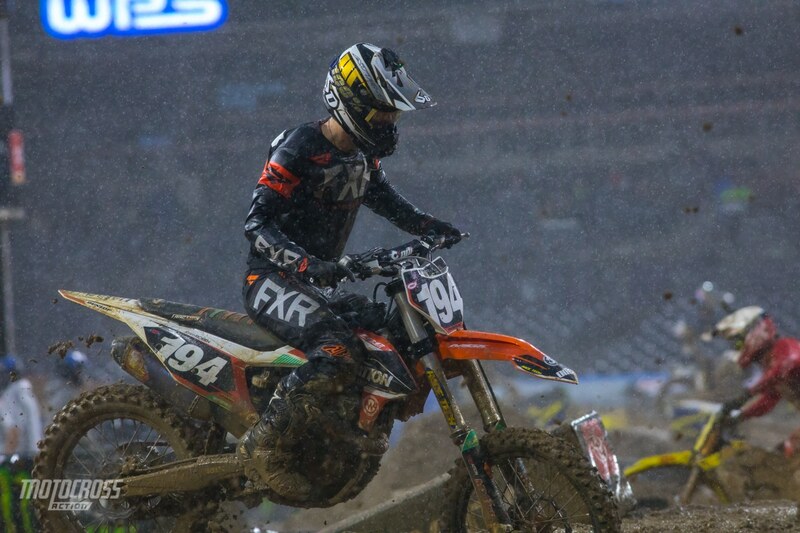 In Supercross your heart rate is a lot higher than outdoors. Before I was doing a little more gym stuff than I’m doing now. With Chris we are doing more of the riding part and then recovery rides on the road bike. We don’t do anything crazy in the gym, just some core stuff here and there. I’m generally pretty strong as it is, I don’t really need to do too many weights so I’m just getting my motos in and doing recovery rides. Jerry recently did some testing for MXA on our project Husqvarna TE300i fuel-injected two-stroke, click here to see the video. WHO HAS HELPED YOU OUT FOR 2019? I have a lot of people helping me out. I’d like to thank Cory McFadden at FCC and Tom Gary at Sign Nation, Alpinestars, 6D, 100%, FXR, FMF, EVS, ODI, Voretex Chain and Sprockets, Race Tech, Hinson Hammer nutrition, Traction MX, and South of the Border training facility.